STATE COLLEGE, PA — School’s out so what’s a kid supposed to do? 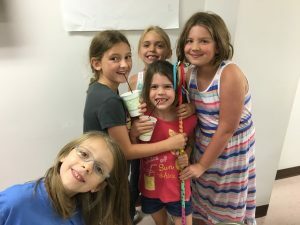 For the children of Holy Trinity Church in State College it could only mean that it’s time to go to Vacation Bible School (VBS)! 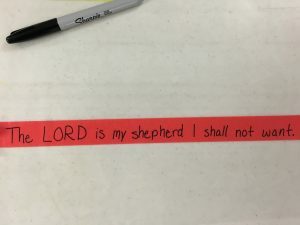 This year’s VBS theme is “I Wanna be a Sheep” and will be based on Psalm 23. Sources close to the VBS have stated that the theme this year was selected because although the scriptures were written so that that they made sense to the peoples of the times we no longer live in an agrarian society. However, we know that the Scriptures are timeless and we need apply them for today’s world. 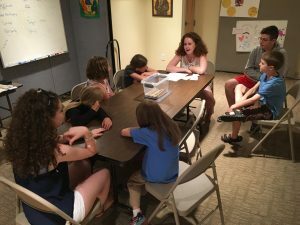 Parents, teachers, and leaders need to convey to children that in Our Savior and in His scriptures we can find calm and peace and hope for the world which awaits us. The students need to learn that the words of scripture were written for them. The Shepherds ultimate concern for the sheep: He is the Way, because He leads us through Himself. He is the Door who lets us in, the Shepherd who makes us dwell in green pastures, bringing us up by waters of rest and leading us there. He protects us from wild beasts, converts the erring, brings back what was lost and binds up what was. broken. He guards the strong and brings them together into the fold beyond with words of pastoral knowledge. To make the most of this week for you and your child you will need to also be prepared to discuss Psalm 23 and the many instructional points which can be found in it. Read Psalm 23 and John 10. Question for you to discuss with your child before VBS tomorrow: What has God done to restore your soul? On Wednesday, there will be Vespers at 5 p.m. Please try to bring your children early so that we can pray together. Dinner and VBS will follow immediately. On Thursday we will visit a sheep farm. We will leave @ 4:15. Pack a dinner for your child.